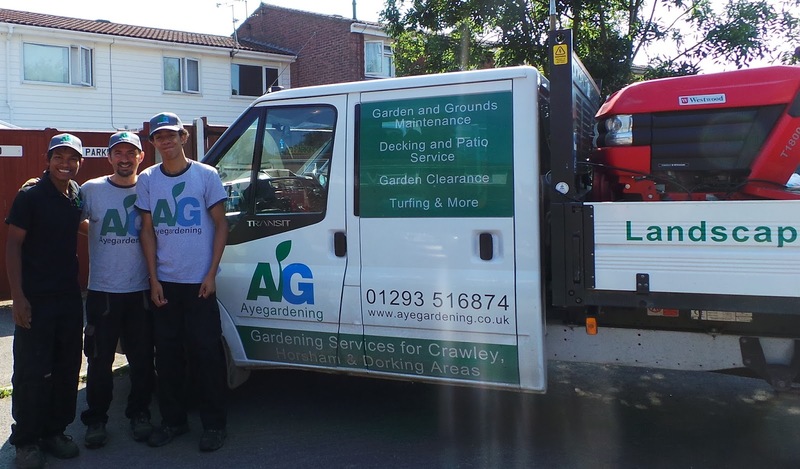 What landscaping services can Ayegardening offer? The Ayegardening team carries out regular garden maintenance as well as a range of landscaping services. Well it has been quite some time since we have blogged... mostly due to having our gorgeous baby girl in July. She has now settled in and it's like she has always been here! So, what has prompted me to blog now... admist our busiest time and between feeds?! Well, one of our regular maintenance customers commented the other day that they had no idea that we also provided landscaping services. I thought therefore this would be the perfect time to do a small highlight on some of our landscaping services, for current and potential customers. It may seem like quite a way away but now is the ideal time to start thinking about and saving for a landscaping project for 2014. 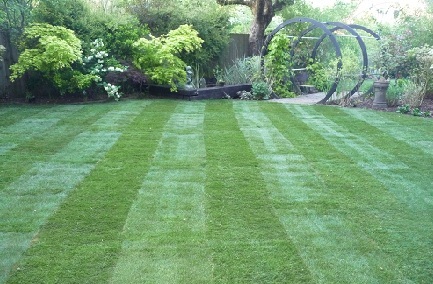 Most landscapers will start to get booked up so best to be prepared to save disapointment. 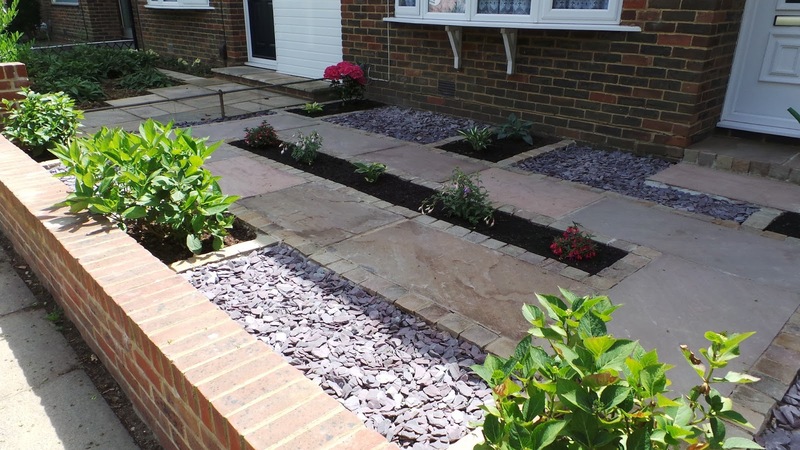 From small paved areas and paths to large patios made for dining and entertaining, Ayegardening can construct patios in a variety of sizes and stone types. Decking can be the perfect solution to hide an unattractive space or simply raise an area to be level with a conservatory. Decking is versatile and can be designed for a dining area, play area or somewhere to have a peaceful rest. 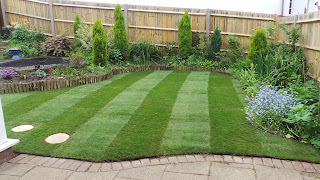 Using a local supplier we can give your garden a new lawn using appropriate ground preparation and a lush, green turf. We will also provide aftercare advice too. 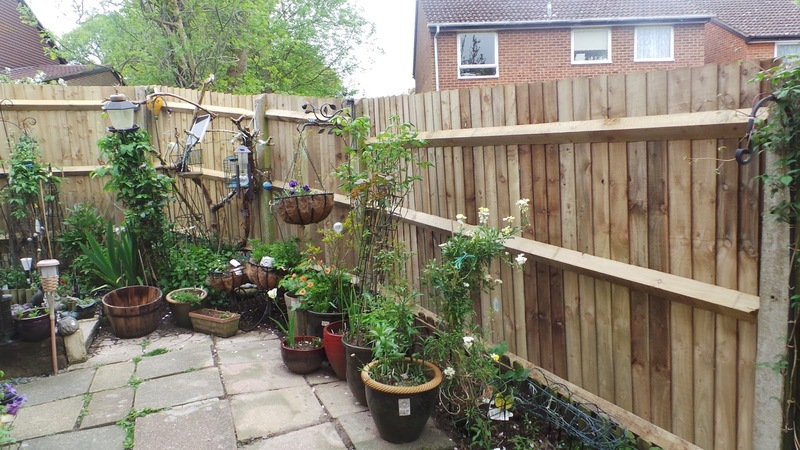 Ayegardening can construct and repair a variety of fences and gates including but not limited to closeboard, overlap panels, pallisade, post and rail and chestnut fencing. 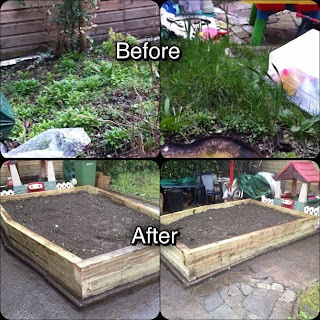 Be it vegetable planters, raised beds, retaining walls we can build it! 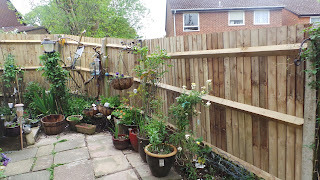 Railway sleepers both hardwood and softwood are a versatile material that can be used in a variety of situations. 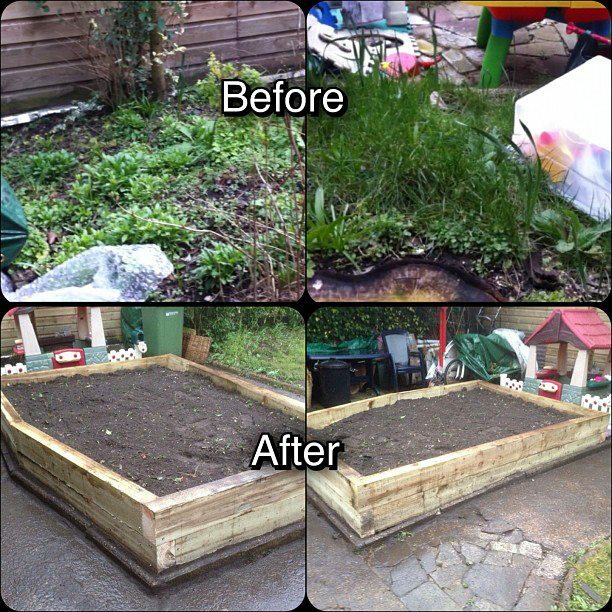 Transformed a messy area into a vegetable patch. 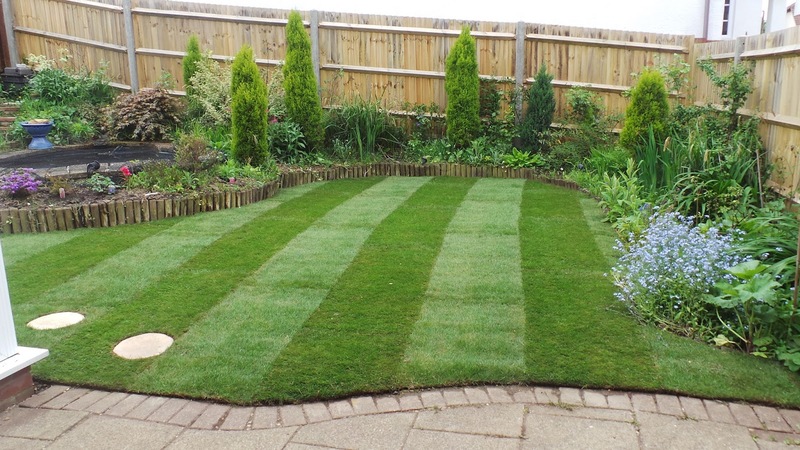 We also offer pressure/jet washing, leaf clearance, snow clearance, jungle tidies, hedge planting as well as garden and grounds maintenance. Thank you for reading our blog and don't forget to click the social share button to share on Facebook and Twitter- thank you!